The Bible tells us there is nothing new under the sun. I recently learned that the Theory of Evolution isn’t new. The ancient Greeks believed that lower forms of life evolved into higher forms of life while other Greeks believed the world was “intelligently designed.” Even St. Augustine said you can’t take the Book of Genesis literally; it should be interpreted as an allegory, which many liberals would agree with. Jean-Baptiste Lamarck, a famous naturalist, described the course of life on earth as an evolutionary process; even kindness could be inherited. Charles Lyell, a geologist, said the earth had evolved. Darwin’s grandfather also believed in evolution. Truly, the 19th century was the age of evolutionary thought. After all, man had evolved from cavemen. Now there were great advances in science and technology. Then God reminds us that we’re not gods at all. We built skyscrapers like great mountains against a red horizon. Then the Titanic sinks and shocks the world. We built airplanes and made trans-Atlantic flights. 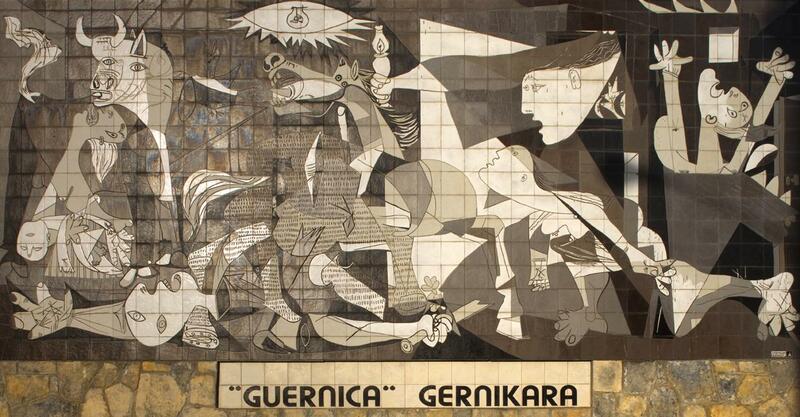 Then airplanes were used as dive-bombers to murder innocent civilians, sadly depicted by Picasso’s Guernica, a painting that became famous overnight for depicting total war. Then why does Darwin get all the credit for the Theory of Evolution? Honestly, I don’t know. These ideas have been around since the ancient Greeks, and the same old arguments about evolution and intelligent design continue to this day. Posted in Art & Literature, History Articles on July 23, 2016 by Lydia Klima. My mother worked for a Jewish businessman back in the 1960s. As a little kid, Mr. B, who resembled Harry Carey, invited us into his office to give us soda pop from his mini-frig. He fawned over us as if we were his own grandkids. He was the kindest man. Mr. B grew up in a wealthy Jewish neighborhood on Chicago’s South Side. Once these tree-crowned boulevards were lined with mansions. Now they are black neighborhoods where you take your life in your hands because of gang warfare. Mr. B told my mom that Jewish people are sympathetic toward African-Americans because they share a similar history. Indeed, many former Jewish neighborhoods are now black. So, is there a parallel between Jewish people and African-Americans? In Europe, Jews couldn’t join guilds or own property. American slaves were property. Jews were segregated into ghettos. Today, there are black ghettos. European Jews could only drink out of designated fountains. In other words, there were fountains for Jews and non-Jews. Same as American segregation. Intermarriage with Jews was forbidden. In the Middle Ages, Jewish men were castrated for having an affair with non-Jewish women. Intermarriage between blacks and whites was also forbidden in America. Sadly, there are many parallels between the Jewish people and African-Americans. I see why Mr. B was sympathetic toward blacks. As I said, Mr. B was the kindest man, and I’ll always remember him with a smile. Posted in History Articles, Popular Posts 2017 on July 12, 2016 by Lydia Klima. I remember hearing about this back in 2014, but I was surprised by Lieutenant Alonzo Cushing’s bravery. Wounded three times, Cushing ordered his battery to keep fighting as 17,000 Confederates charged his men at the Battle of Gettysburg. Mortally wounded, Cushing kept fighting and would not turn tail and run. Reading about his bravery brought me to tears. Alonzo Cushing was only 22 years old. He was a true American hero, and he deserves to be remembered. 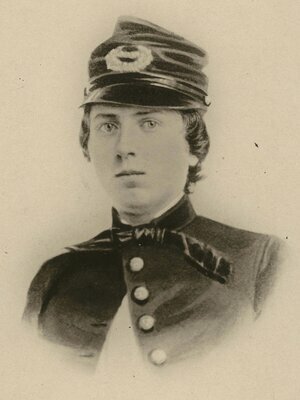 Civil War hero Alonzo Cushing receives Medal of Honor from President Obama. Posted in History Articles on June 29, 2016 by Lydia Klima. Though a kid, I lived in Chicago during the riots of the 1968 Democratic Convention. All I remember was terrible riots on black-and-white television. The riots have ominous parallels to today. 26-29. Ten thousand protesters demonstrated at the Convention, the Chicago Hilton and Grant Park. During that year, riots occurred in more than 100 cities following the assassinations of Martin Luther King Jr. and Robert F. Kennedy. However, many protesters were anti-Vietnam War. Americans were split over the war. Many young people wanted to know why America was fighting. The same questions are asked today with American intervention in Iraq and Afghanistan. 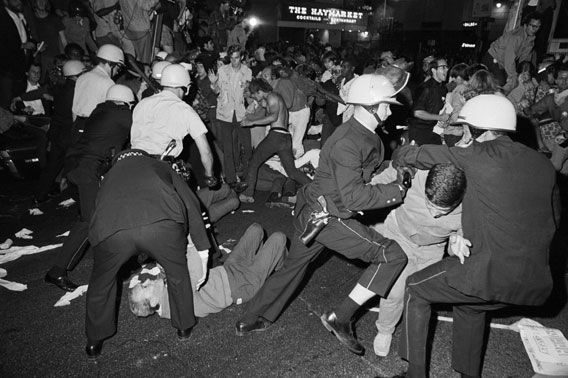 Thirty-six newsmen were arrested at the 1968 Democratic Convention. Mike Wallace and Dan Rather were assaulted by Chicago police. Security guards roughed up Dan Rather in the convention hall as he tried to approach a Georgia delegate. Does this remind you of Donald Trump and Michelle Fields? Twenty-two thousand men in uniform were sent to maintain order. This consisted of Chicago police and the National Guard. Unfortunately, the violence escalated throughout the week. One hundred and seventy-eight people were arrested, eleven hundred people were injured, and 400 were treated for mace and teargas. History is stranger still. Hubert Humphrey had 561 delegates, Kennedy had 393 delegates and McCarthy had 258 delegates. McCarthy was anti-war while Vice President Humphrey was pro-war. The Democratic Party nominated Humphrey, even though 80% of primary voters were anti-war. Also, Humphrey didn’t enter 13 state primary elections, and yet he won the nomination. Does this sound familiar?…Ted Cruz and John Kasich have stayed in the race for the Republican nomination hoping that history will repeat itself. In 1968, people were shocked when Humphrey got the nomination. If Donald Trump is shy 10 delegates of the nomination, I predict rioting will follow. In fact, rioting has already occurred at Trump rallies. In 1968, there was division in the Democratic Party. In 2016, there is division in the Republican Party. What happened in ‘68?…Richard Nixon won the Presidency. The rest is history. Posted in History Articles, Popular Posts 2016 on April 30, 2016 by Lydia Klima. I grew up in Chicago Lawn. Marquette Park was one block away from where I lived. 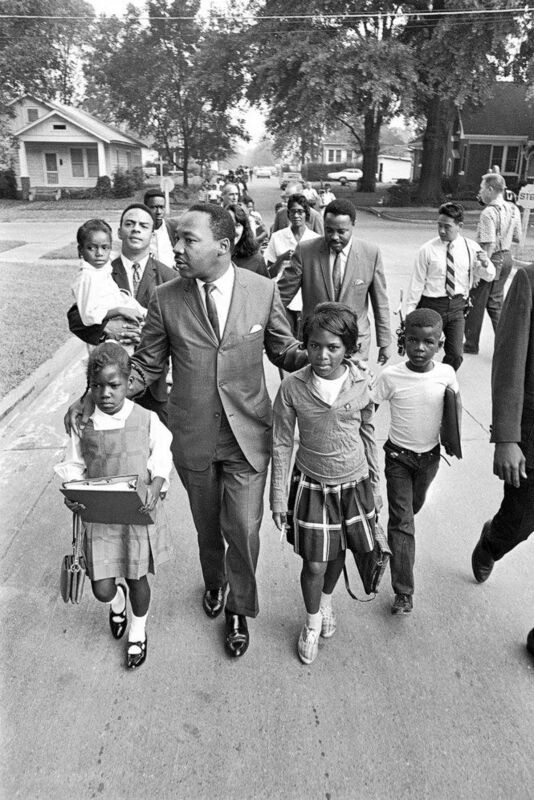 That’s where Martin Luther King Jr. marched in 1966. My best friend’s mother marched along with King. In order to become first class citizens, King and his followers were pelted with bottles and rocks. Have you ever been pelted by a rock?…I have. It hurts! When my mother rode a bus in New Orleans during the 1950s, she offered a black woman a seat beside her because the bus was full. The white woman in front of my mom turned around and gave her a look to kill. The black woman sat in the back of the bus. Then Rosa Park came along and refused to sit in the back of the bus. She sat in the front because no other seats were left; and so began the American Civil Rights Movement. We’ve come a long way since the 1950s and 1960s. America has a black President. Some say he’s a black Muslim. Maybe they’re right. Who knows? I heard a news commentator say America wasn’t ready for a black President. I disagree! The people who oppose Obama don’t dislike him. They dislike his policies. Anyway, I’m glad America has moved beyond the American Civil Rights Movement. Do we need more work to go?…Of course! But we’ve come a long way. Posted in Current Events, History Articles on February 27, 2016 by Lydia Klima. Dr. Carson also impressed me during the Republican National Debate. After the debate, the press interviewed him, and he discussed the appalling national debt. What he said should scare every American. The American dollar is the world’s reserve currency. That means other countries must buy dollars in order to buy commodities. If the dollar stops being the world’s reserve currency, the US can’t print money to cover our debt. Dr. Carson warned that the USA could follow Greece into bankruptcy if we don’t take actions to bring down our debt. The USA owes $21 trillion in debt! This is disgraceful. For now, many people aren’t paying attention, except for the Tea Party, and they got demonized for this, but it’s no laughing matter. Could the USA ever face a revolution? Of course. Economic instability was behind the French Revolution and the Russian Revolution. The 2016 election is crucial to our nation’s future. No one believes a revolution could occur, but in the 1860s, the American Civil War began, even though people had warned about it for at least 10 years. Everyone thought the war would end quickly, but they were wrong. It was America’s bloodiest war. Posted in History Articles, Popular Posts 2015 on August 13, 2015 by Lydia Klima.